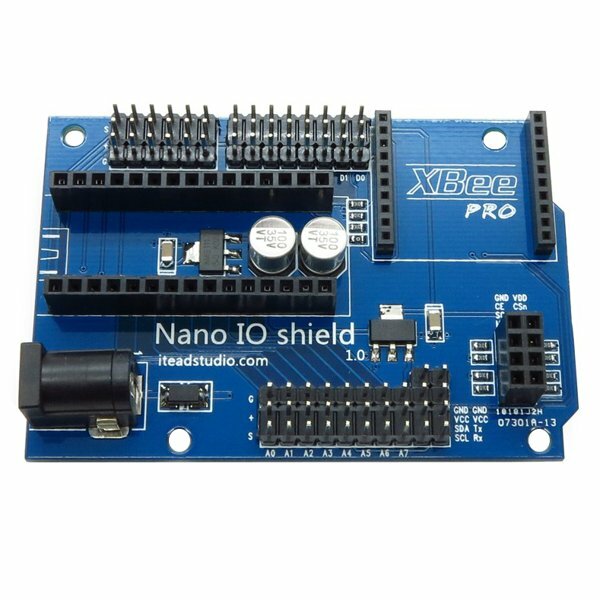 The Arduino Nano IO Shield makes it easy to experiment with your Arduino Nano compatible microcontroller. 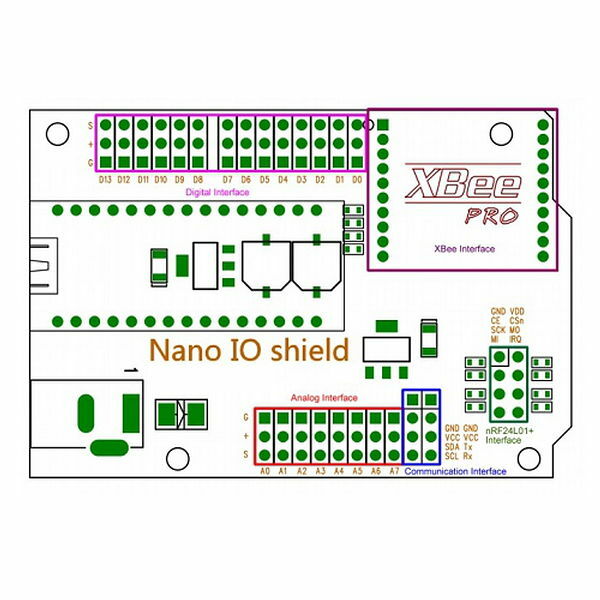 This Nano Shield provides easy access to all of the Arduino Nano I/O pins with a set of 3 pin male connectors. Each 3 pin I/O connector has Signal, Ground and Voltage pins for convenient wiring to a variety of sensors and other modules. 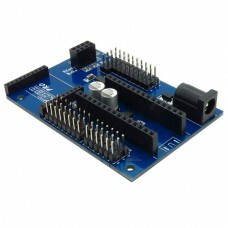 An XBee socket is provided to enable wireless communications by attaching a compatible ZigBee, WiFi, Bluetooth and similar XBee wireless modules. 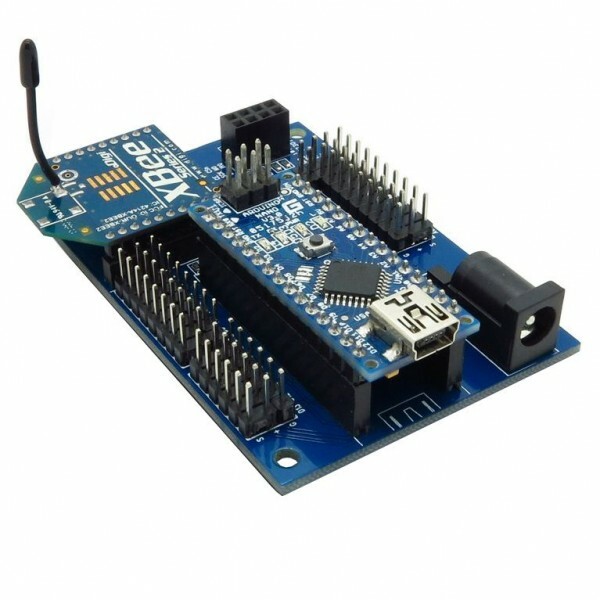 An nRF24L01 wireless interface is also provided. Power is supplied via a 7-12V external power source.